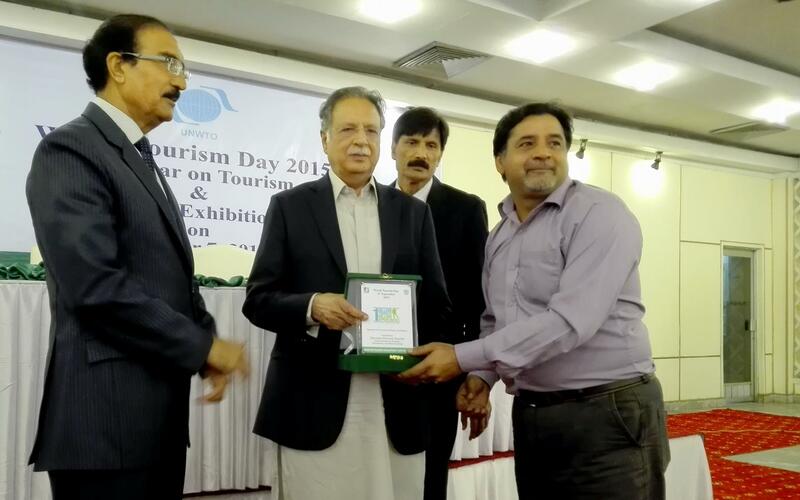 Ekrar receives Lifetime achievement award in tourism from Federal minister for heritage and Managing director of PTDC. In this interview, Agha Iqrar Haroon, popularly known as Ekrar, shares his insights on tourism development in Pakistan and Asia. He first joined the tourism sector as a tourist guide at the age of 15 and then worked as a journalist for Pakistan’s leading English newspapers. 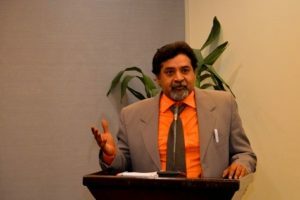 Haroon is a former Consultant at the Pakistan Ministry of Tourism and the founding President of Ecotourism Society Pakistan that was constituted in 1998. 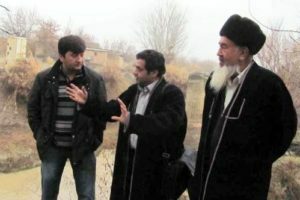 Agha Iqrar Haroon is the Honorary Head of The Region Initiative (TRI), connecting South Asia, Central Asia and Eastern Europe. He is currently working as Chief Editor of Dispatch News Desk (DND) news agency and teaches tourism and media studies in different universities. Predictions for the future of sustainable tourism in the Asia-Pacific region. Ekrar, do you remember the first time you heard or thought about sustainability in tourism? What got you interested in this topic? I was a tour guide in the early 80s when I was a student in my first year in college. At that time Pakistan was popular among extreme hikers, mountaineers, anthropologists and writers used to travel to our north in groups. People who visited our country often left imported beer bottles, cans, plastic bags and non-dissolvable garbage behind. Tourist groups would come through big tourism operators who managed their accommodation, food and transport. 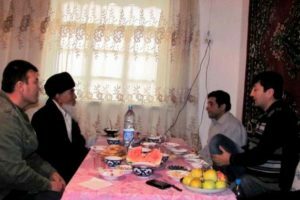 Big tour companies situated in big cities were receiving money and I saw almost nothing practically transferred to communities where these tours had been operated. Communities were essentially just there to receive garbage. I was not happy with this situation and thought there was something I could do to protect nature and transfer the benefits of tourism to local communities. This was the beginning and start of my activism. As the President of The Region Initiative (TRI), a Tri-regional Umbrella of Tourism functioning as link among three areas (South Asia, Central Asia and Eastern Europe), what are similar threats and opportunities among those regions, regarding sustainable development of tourism? One threat is that there is little involvement of communities and not a lot of transfer of financial benefits to local people and areas where tourism business is being generated. Another threat is over dependence on nature tourism in Kyrgyzstan like we had in Nepal. Both countries are poor and landlocked and both countries wish to keep tourism as their main income earner. Everybody tries to capitalize on the tourism business, resulting in extreme price competition. You can find a Bed and Breakfast (B&B) for only $15 in Kyrgyzstan. That used to be around $25 ten year ago. Competition has also encouraged modernized accommodation and removed the true concept of B&B. There are 25 to 30 rooms accommodation facilities with the title of ‘B&B and Home Stay’, yet while for me B&B and Home Stay concepts used to be an extra source of income for a family who would utilize one or two rooms of their home for tourism services. Now big companies sitting in big cities are building or contracting B&Bs and Home Stay accommodations. As an opportunity there is a need for capacity building of youth, but such capacity building should be done by practitioners of tourism not by NGOs. How does TRI support the ancient Silk Route and Silk Road destinations, and what progress has been made over the past several years to develop this as a sustainable destination? We promoted destinations of Silk Road areas in English since 2010 when people in Central Asia had serious language barriers to market their accommodations and tours. Now the situation has changed and the young generations of Central Asia are eager to learn English. We used to hold training workshops in English and Russian and our first four years were very successful. One ecotourism and sustainable tourism project of one TRI partner organisation won the ‘To Do Award’ at ITB Berlin in 2015. This was the Mitan project near Samarkand, Uzbekistan. Silk Road Destinations ran this project, which is a country partner of TRI and we played the role to showcase this project to the world. Pakistan Tourism Development Cooperation (PTDC) is working to introduce a new National Tourism Policy to promote tourism within the country, and to create a tourist friendly image of Pakistan abroad. What are your thoughts on this policy? I was asked to help PTDC develop a blue print by its former Managing Director for National Tourism Policy. Initially the creation of a National Tourism Policy halted because there was no Federal Ministry of Tourism in Pakistan. Now tourism is a provincial subject. I have serious concerns that Pakistan may not be able to come up with a National Tourism Policy in the upcoming years because of lack of interest and bureaucracy. In your view, what aspects are the most crucial for the next years regarding advancement towards a more sustainable tourism in Pakistan? There are no laws that govern sustainable tourism in Pakistan. Domestic tourism is booming with over 15 million to 20 million domestic tourists traveling to the northern mountain valleys during our three-months summer season. With this in mind, imagine that there is no single solid waste disposal plant or proper dumping ground in any of our tourism destinations. There is also no law that only trained and certified people can work in the tourism industry. People without proper training could be responsible for managing fragile tourist spots. NGOs that are providing capacity building programs for women are helping to train tomorrow’s tourist guides. I am concerned that Pakistan still has a long way to go regarding consciousness for sustainable tourism development. As a Board Member of the Asian Ecotourism Network (AEN), what do you hope to see in the future of sustainable tourism in the Asia-Pacific region? AEN is a group of traditional experts and practitioners and I believe that it can play a vital role for the development of sustainable tourism in the region, provided it has resources and funding for connecting all countries of the region at official level. We cannot do anything unless we do not have laws made by countries to protect the concept of sustainable tourism. Sustainable tourism is possible only when we care about the environment, and the most important component of the environment is the livelihood of people in the environment. Ironically we hold sustainable tourism workshops and conferences in expensive hotels and tourist resorts where we explain the injustice that poorer communities face. This is a double standards situation when we talk about poor in mega hotels instead of conducting such events on ground — where communities live. I believe that together we can achieve the goal of becoming a sustainable tourism world. Learn more about Pakistan Tourism Development Cooperation (PTDC) here. Enjoyed our interview with Agha Iqrar Haroon (Ekrar) on sustainable tourism projects and challenges in Pakistan and Asia? Share and spread the word!